I must admit that whilst I’m happy with a needle and thread in my hand I’m definitely a failed gardener. Every year I try and grow something other than weeds and usually fail. 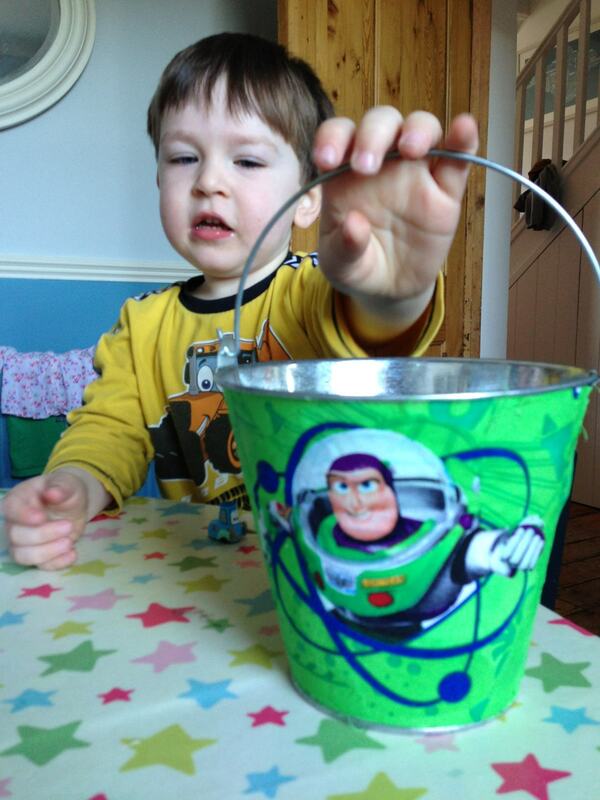 When I saw the Tots100 Centre Parcs challenge I knew I should give it a go. For the toddler’s introduction to gardening I thought we would try growing sunflowers. I thought this would be a brilliant way to encourage my little city boy and hoped that even I couldn’t kill sunflowers! We went to our local garden centre and bought a packet of seeds as well as a pot to start them off in. When we got home we carefully put some soil into the pot and added a handful of seeds. I offered up a silent prayer that some of them would grow. The toddler wasn’t too impressed as he had to get his hands dirty! I really want to encourage his gardening skills so thought I would personalise a small galvanised bucket for him so he could put his plant pot in it. 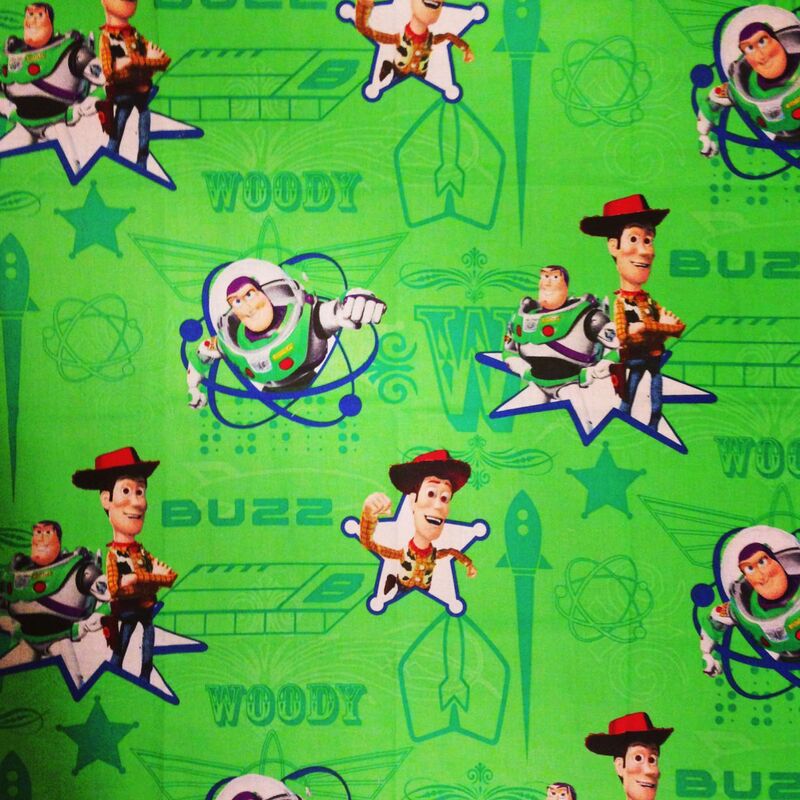 I looked through my fabric stash and found some fun Toy Story fabric. He’s a huge fan and recently got Buzz Lightyear for his birthday. I cut two largish patches featuring Buzz and Woody from the fabric, then cut the remaining fabric into small strips. 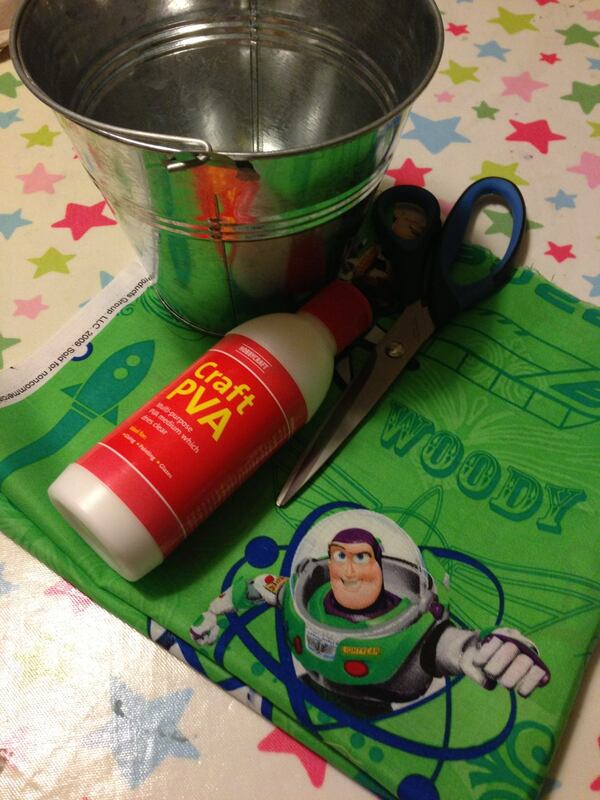 I covered the whole pot with a thin layer of PVA glue and added the strips of fabric, adding Buzz and Woody in a central position on either side and ensuring there weren’t any gaps in the fabric. I left the pot to dry overnight before giving it a spray of varnish just to make sure the edges of the fabric didn’t fray. It certainly made someone very happy. Oooh where did you get the fabric? It looks fantastic! I couldn’t resist it when I saw it! I got it in a small fabric shop in Warminster but I’m sure you’ll be able to buy it online.